Daily Thought: The changing narratives on the war against terror? In the aftermath of the devastating Paris attack, the internet came alive with the voices of people around the world on the attack. This time, far from the usual hatred against Muslims and argument that not all Muslims are violent (they still exist, of course), other narratives began to appear too. Narratives that seem suggest a shift in thinking when it comes to the war on terror, perhaps indicating a maturing in how we rationalise the whole incident. 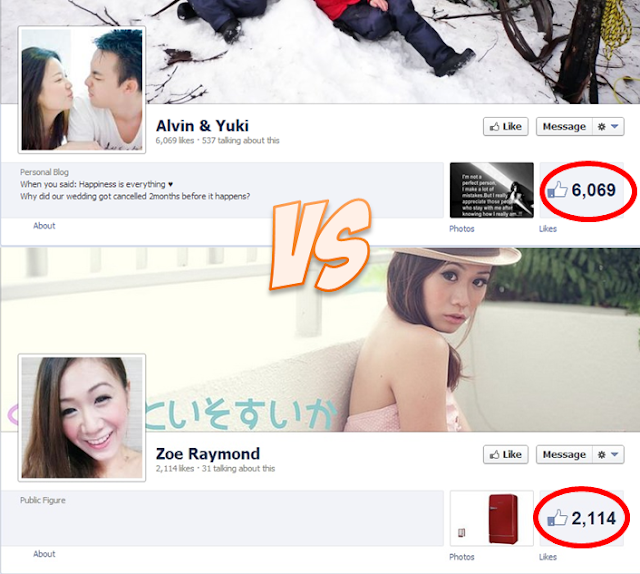 And I don't need to go far beyond my newsfeed to see the shift in thinking. 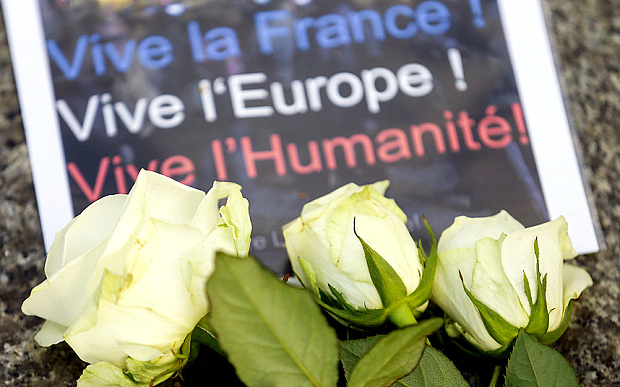 People are not just looking at the Paris attack, but attacks around the world. Instead of just focusing on Paris, some began asking: "Why the different/lack of response to the Lebanon attack?" Instead of #PrayForParis, we began to #PrayForHumanity instead. 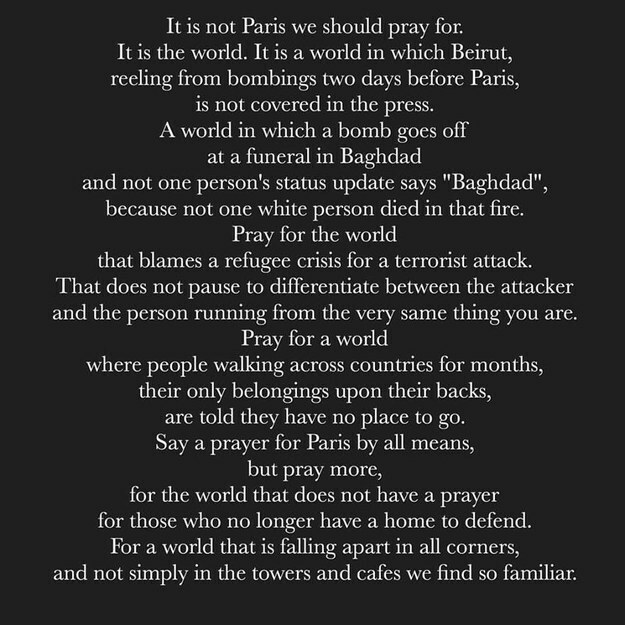 And Karuna E Parikh, a blogger, summed it up eloquently in her poem, asking us to pray for the world instead, as we are falling apart in all corners. In the midst of all the talk about the unequal coverage between the different attacks, we began to understand why we cared more for some than others. The media may have some role to blame, but perhaps the larger reason lies with ourselves. It's not because we don't care less, maybe simply because we could relate to one more. But that doesn't mean we should just leave it there. If we know what is wrong, perhaps it's time to stop accusing and start educating. A Malaysian Muslim also posted something similar to the context, but I think he later deleted the post to the backlash he received from fellow Muslim Malaysians. Sadly, I've forgotten his name and did not save a screenshot. One common theory pushed by people of ISIS's motivation in the Paris attack is to eliminate the "greyzone" where Muslims can co-exist peacefully with the West, with the intention of forcing Muslims into two camps (either you are with the West or with us). If that is true, there is an increasing need to combat ISIS's ideology, and more are beginning to see it. The attack on Paris is both cowardly and barbaric, but as many observers emphasise, we should be wary of playing into ISIS's hands. How we construct our narratives after this horrible tragedy will make all the difference.